40mm, stainless steel case, silver dial, with automatic movement. 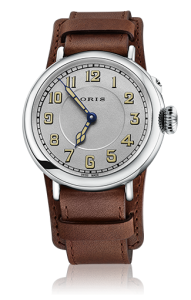 Done in the original design as Oris first pilots watch. 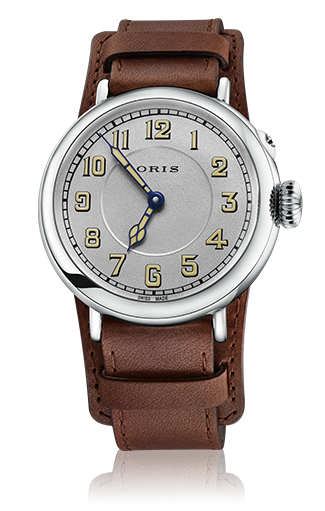 It features a solid stainless steel case back etched with the original Oris “OWC” logo and limited edition of the watch. Available on sporty brown color leather strap, includes an additional leather strap, and pouch.